Ever wanted to step into the shoes of Britain’s Most Famous Secret Agent? 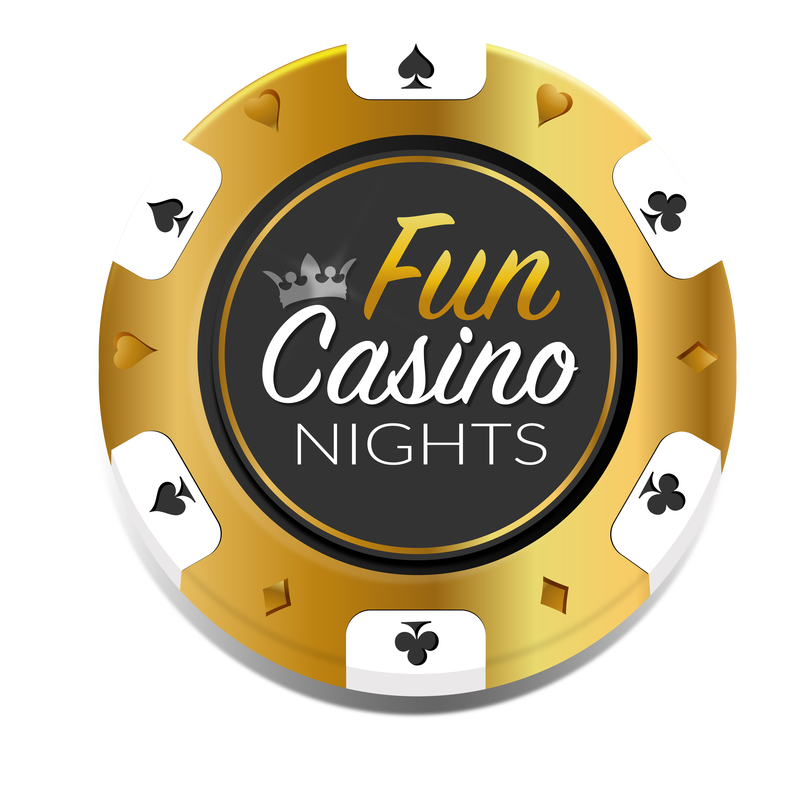 Well now you can with Fun Casino Nights tailored James Bond Theme Night Package. 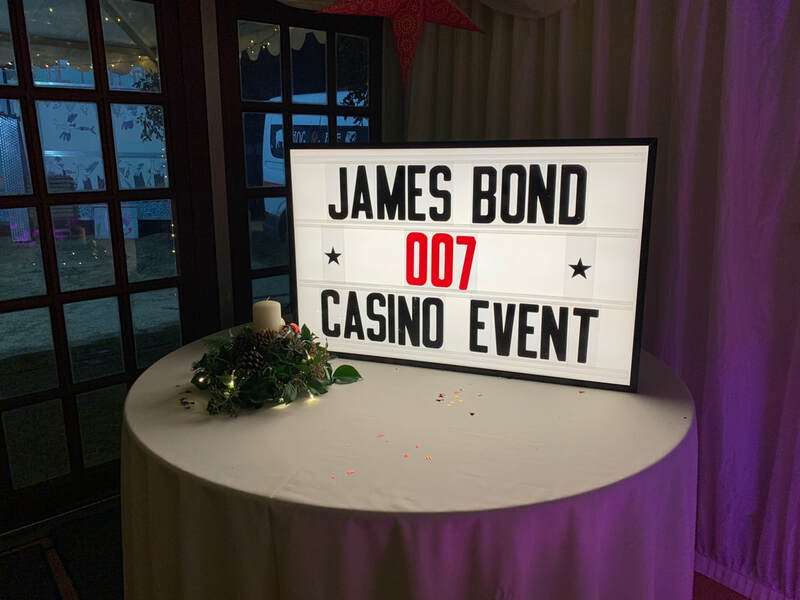 Recreate the feel of Casino Royale and transform your venue with all things Bond at your event to really impress your guests. Have your venue decorated in our James Bond Silhouettes, from the famous stance of Sean Connery to the glamour of the famous Bond Girls! 2x Black and 2x White silhouettes made out of wood for sturdy construction. 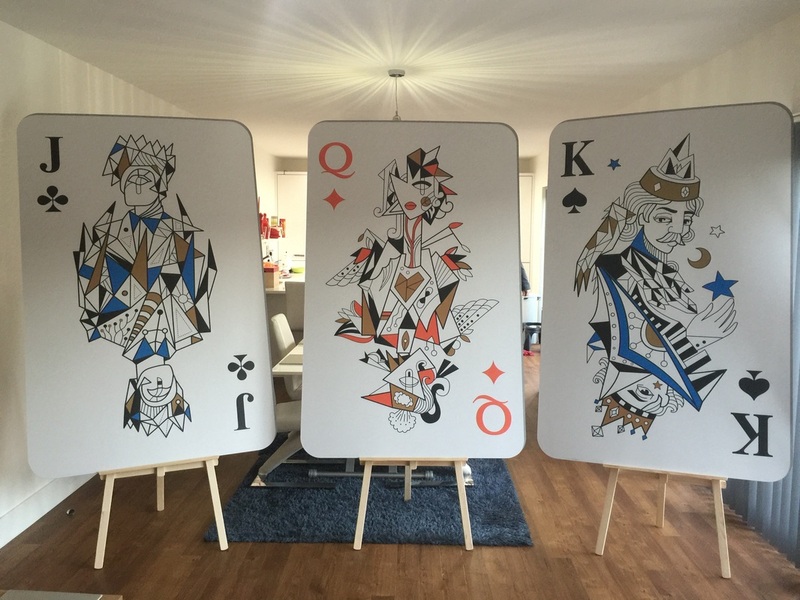 Make the venue truly Casino Royale with our 6 foot tall playing cards. With three lines of personalised text, display your event text to impress your guests. Looks great in photos! 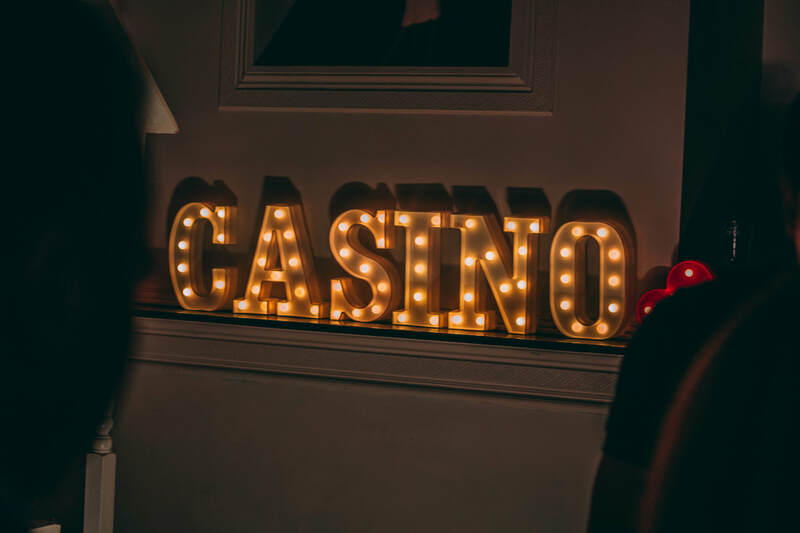 Added glam in the shape of LED letters spelling casino! 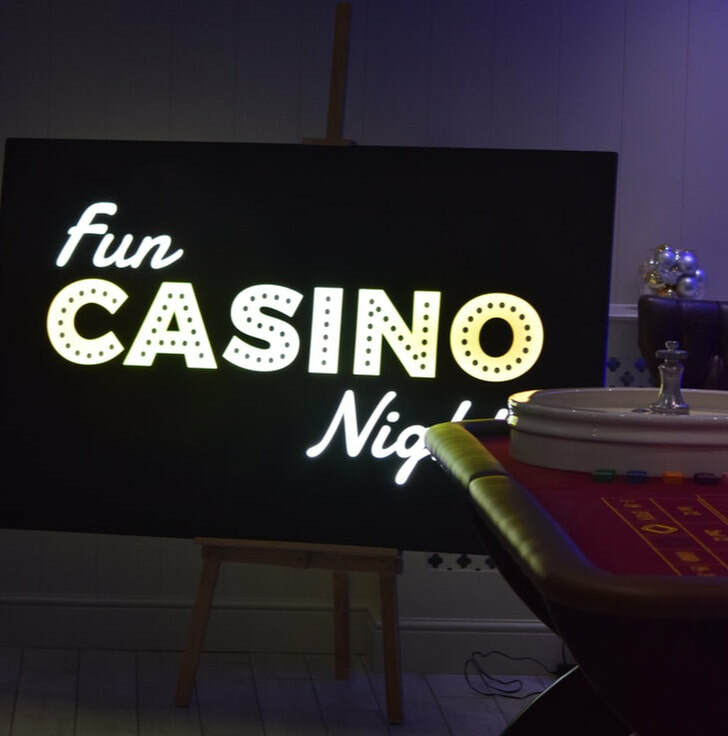 Make your event room or entrance come to life as a casino with our stylish LED Casino sign. Project a Montage of James Bonds with our Phillips Screeneo Projector! 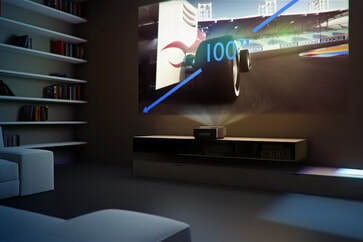 Place the projector only 45cm away from the wall to achieve a FULL HD 100 inch screen. Famous clips from over 50 years of thrilling films. All the intros, stunts, villains, guns, girls and cars will be projected onto the wall or our extra large projector screen. Check it out by clicking the image. Create a suave atmosphere with the Best Of James Bond Theme Tunes. Played over a Phillips Sound System, the tunes will fill your venue to perfectly complement Casino Games, and inspire players to get up and play. 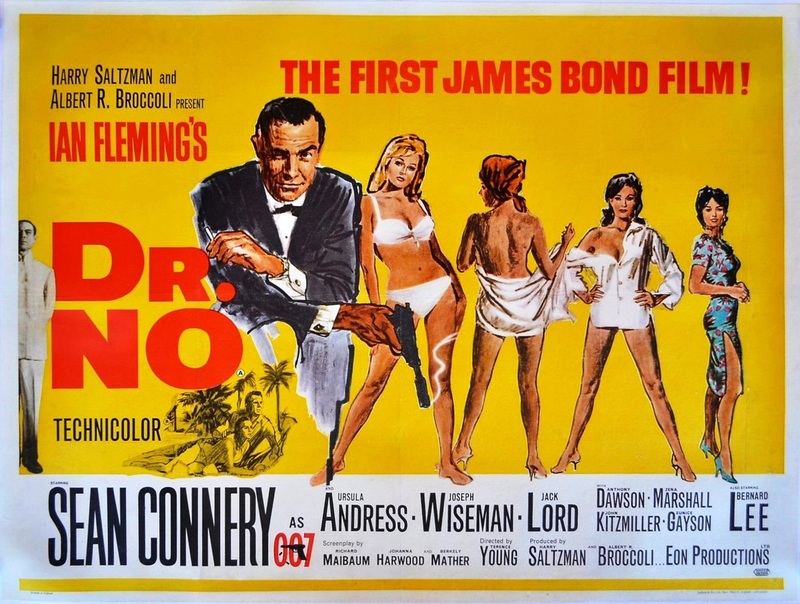 Classic Movie Posters and designer Artwork from the past 50 Years of Bond Films selectively placed throughout the venue. Create that grand entrance with our red carpet and black rope barriers on gold stands. 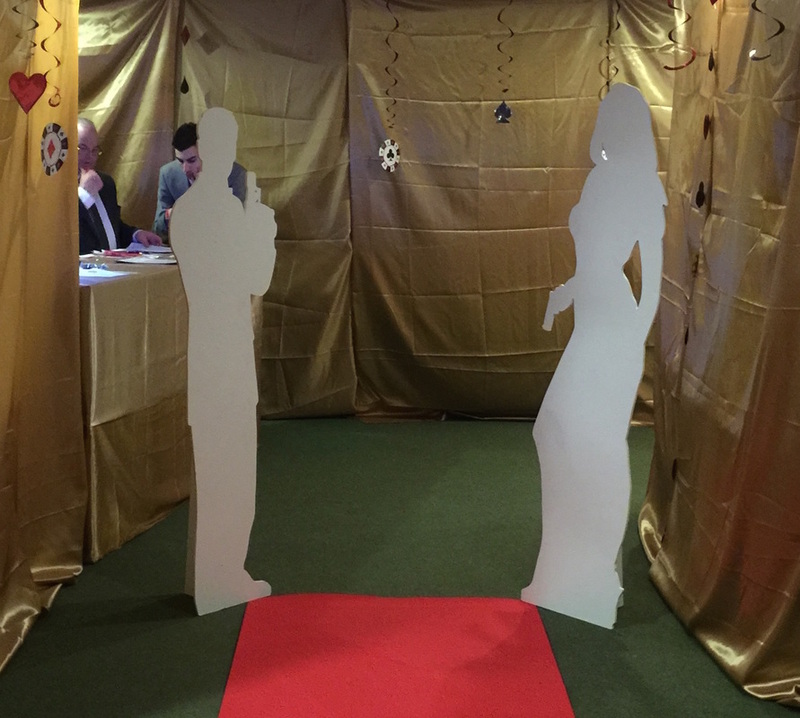 Make your guests feel special as they walk into your event! 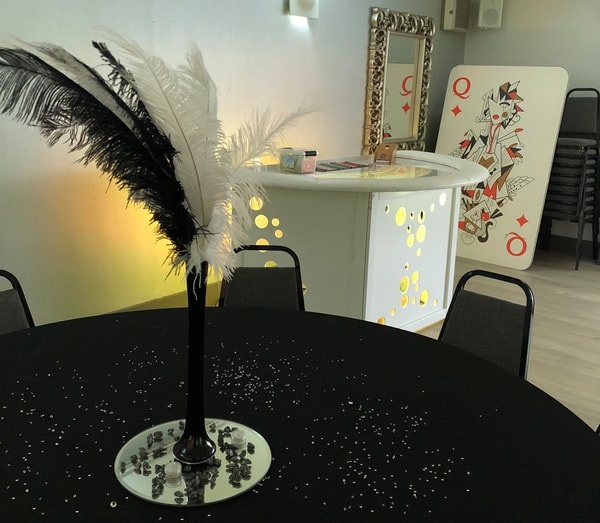 So what are you waiting for...take a look at some pictures from our previous James Bond Theme Nights and speak to a member of staff today and have our James Bond Theme Night Package at your dream event!